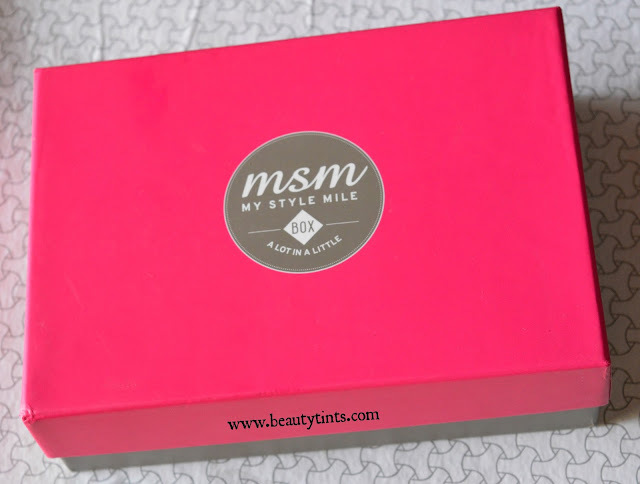 Sriz Beauty Blog: MSM Express Box November 2015 Edition Review!!! 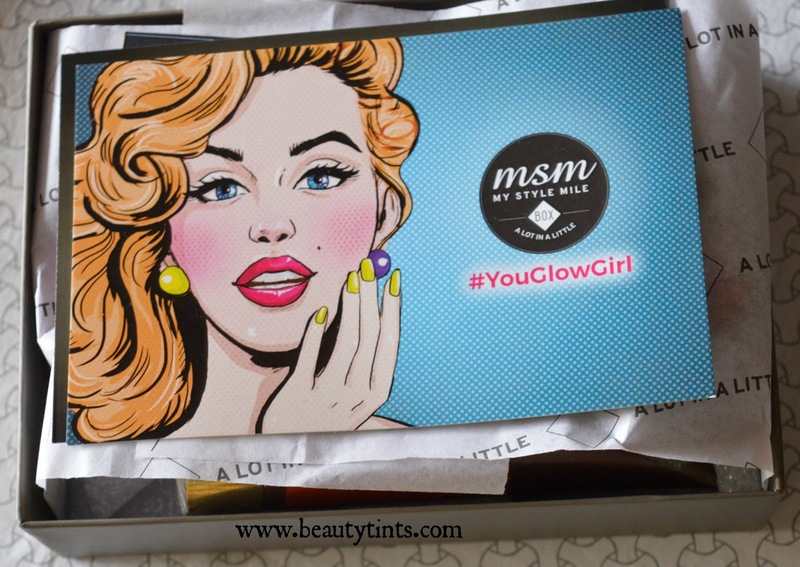 Today I am reviewing MSM Express Box November 2015 Edition,which I received a week back and as I am not in town couldn't review it till now and finally today I am reviewing this month's box with theme #YouGlowGirl, which contained some really good products. 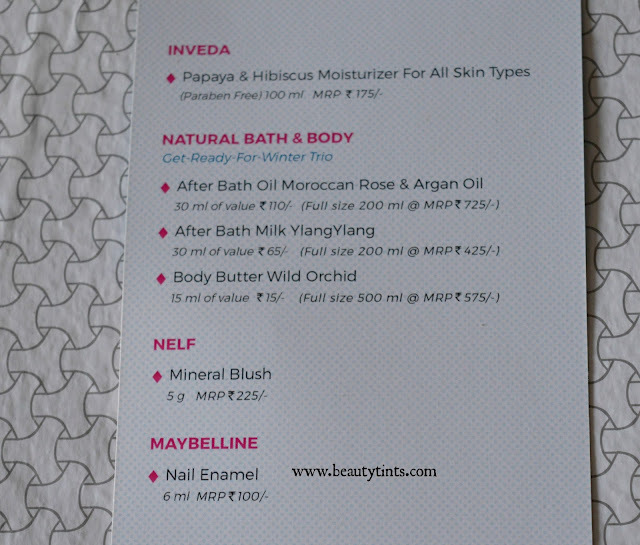 Contents of the November Box : The express Box comes in a pretty pink colored box.Inside of which there are information cards about the products which we received.Underneath them are the products for that particular month. Here are the set of products which I received in this November Month Box.I have received 7 products in which 3 are full sized. 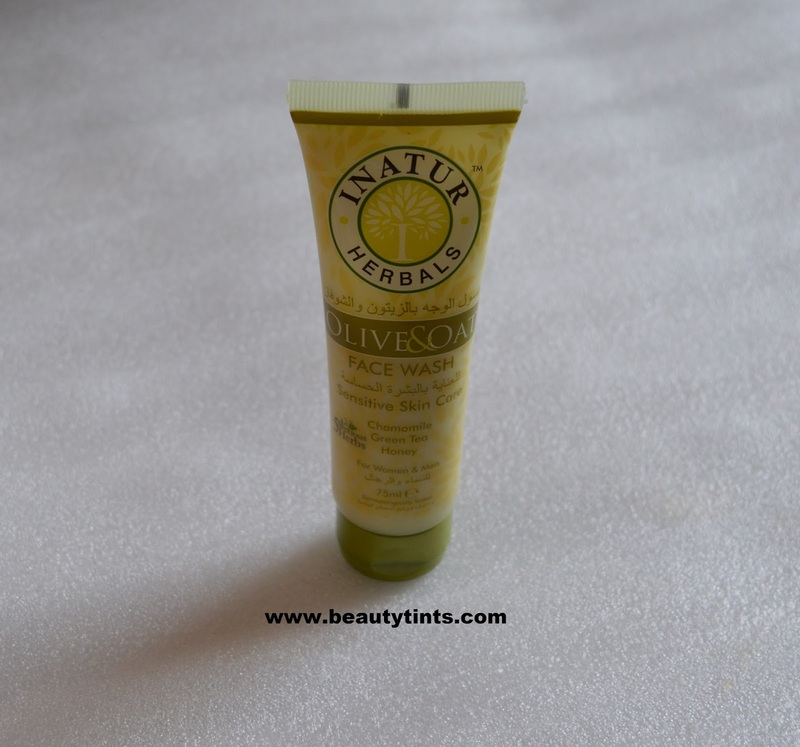 1) Inveda Hydrating Papaya & Hibiscus Moisturizer(100 ml) : This is the first full sized product in the box.It is Paraben,SLS/SLES free and is meant for all types of skin.It has a mild floral fragrance and has a very light texture,which I liked very much about this moisturizer.I will review this soon! 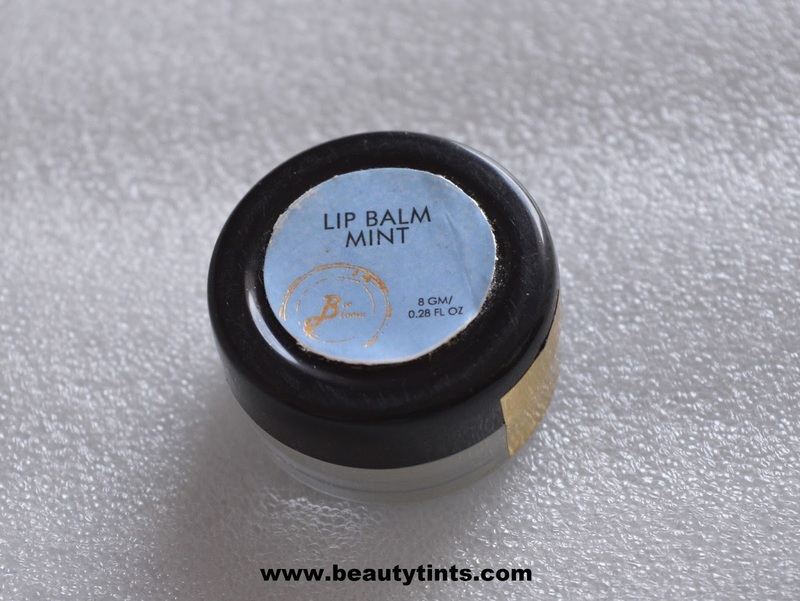 This is priced at INR 175/- . 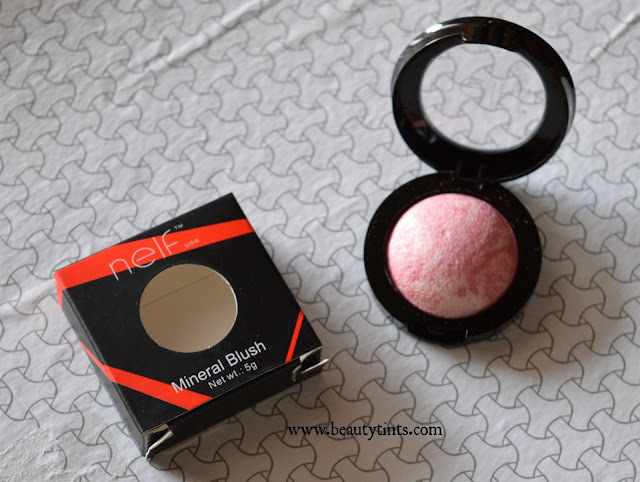 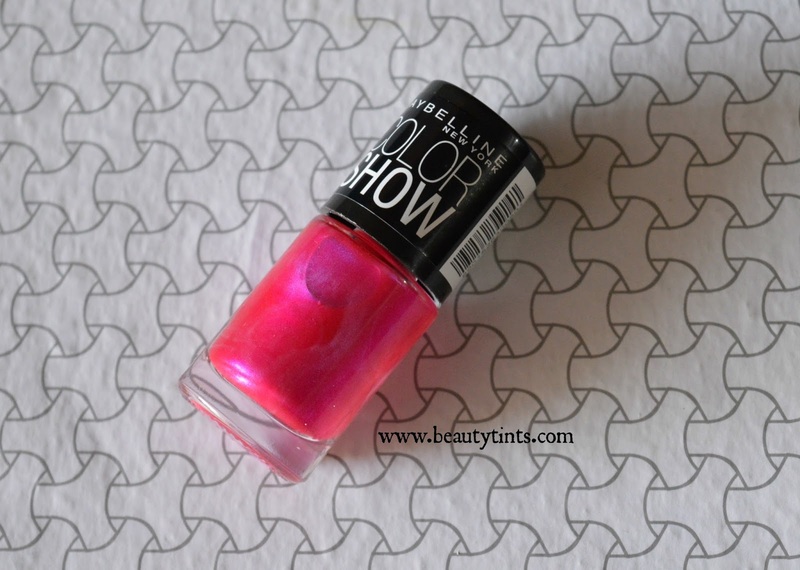 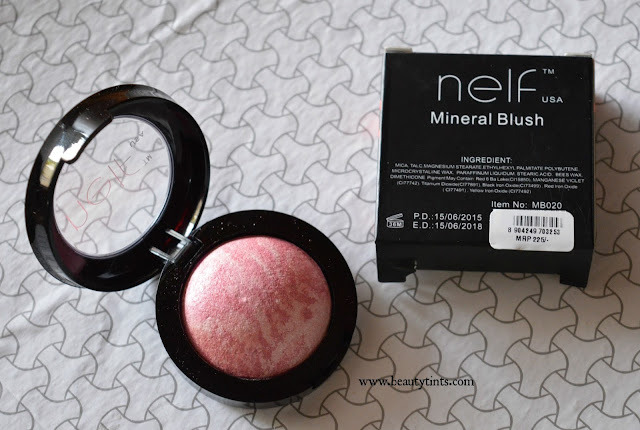 2) Nelf Mineral Blush (5 gm) : This is is the second full sized product from the box and It doesn't have any shade name but its no is MB020.It is a beautiful frosted pink shade.The pigmentation is good.It is priced at INR 225/- for 5 gm. 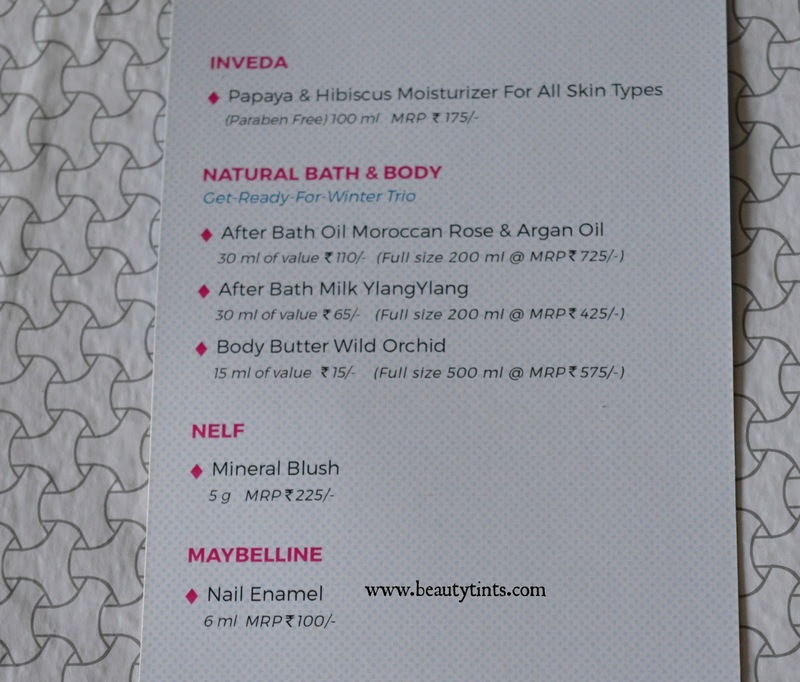 1) Moroccan Rose & Argan Oil After Bath oil(30 ml/200ml at INR 110/725/-),which has an amazing rose fragrance,I instantly fell in love with it,when I sniffed it for the first time. 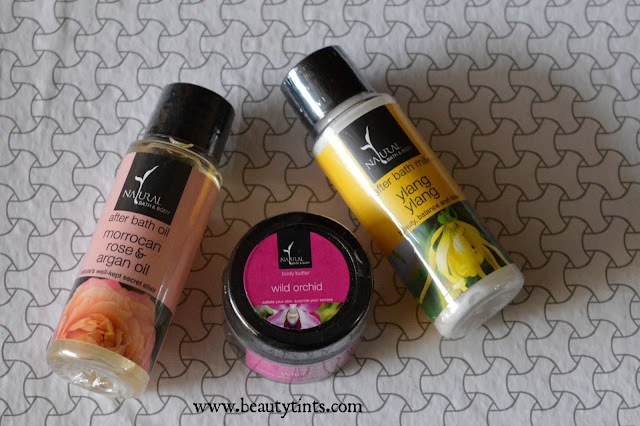 2) Ylang Ylang After Bath Milk(30 ml/200ml at INR 65/425/-) ,one more wonderful product which has an super refreshing fragrance. 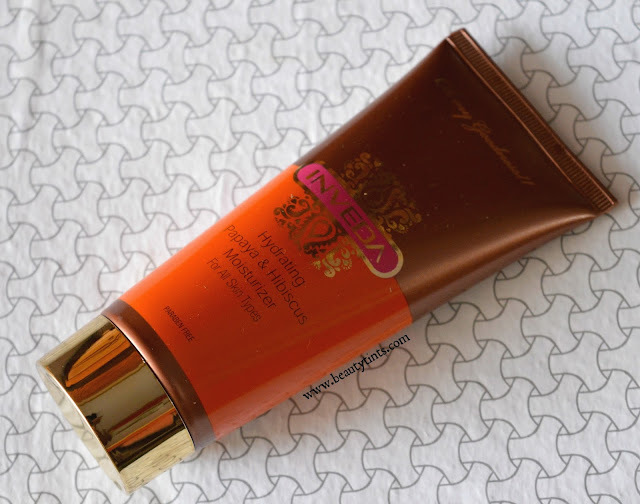 3)Wild Orchid Body Butter(15 ml/500ml at INR 15/575/-),which is a super hydrating body butter with an wonderful fragrance. 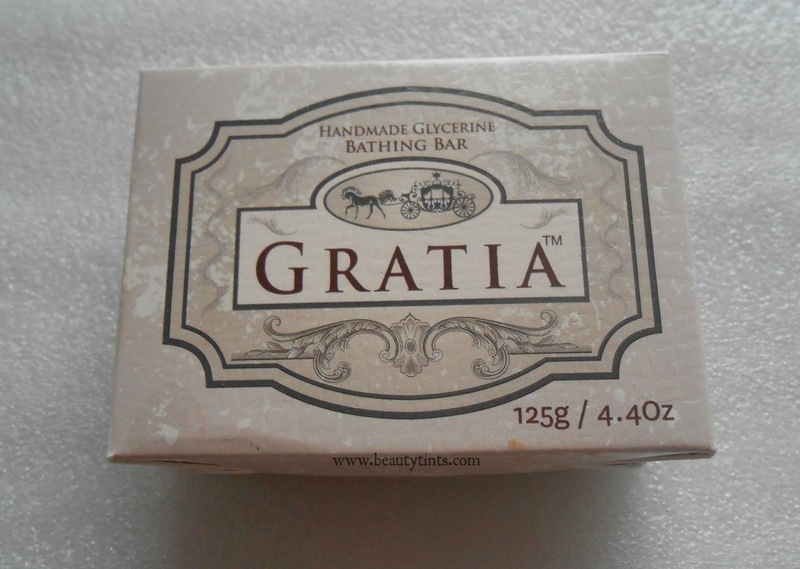 I absolutely loved all these 3 products from Natural Bath and Body and all these 3 have a delightful fragrance. 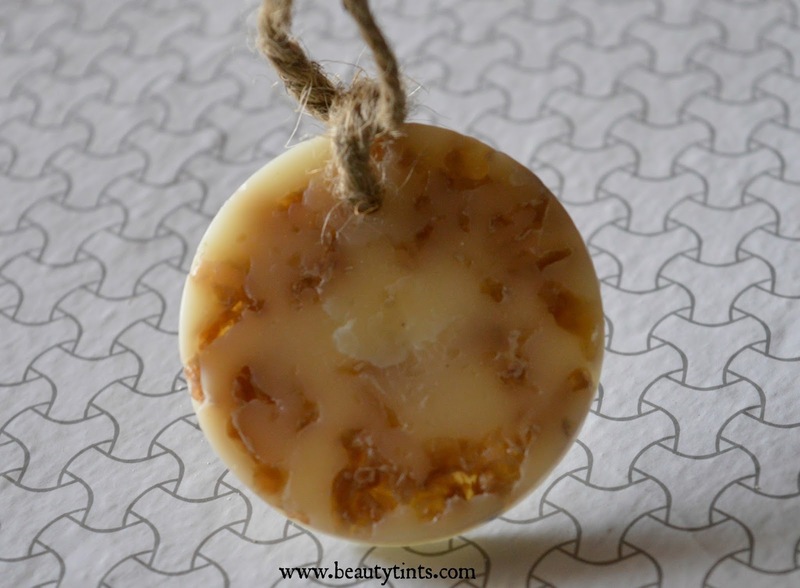 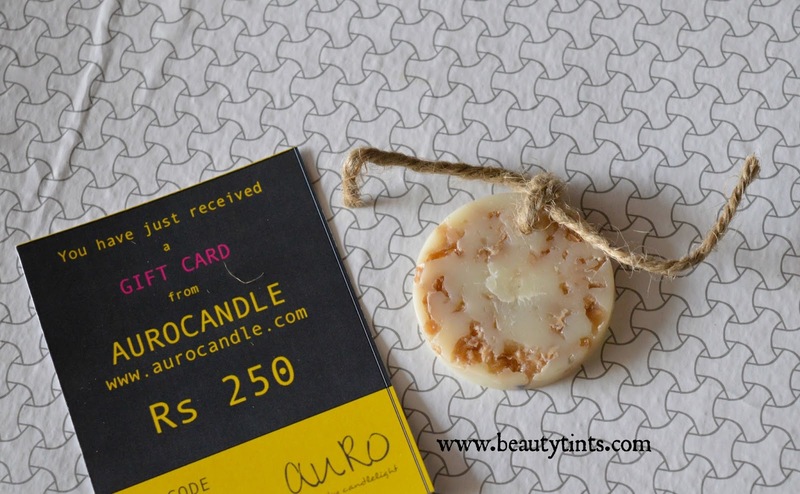 5) Auro Natural Soywax Formula Jasmine Scented Wax Sachet : This wax sheet can be hung in the closets or cars,can also be placed under the pillow or in drawers.The entire box smells wonderful because of this. 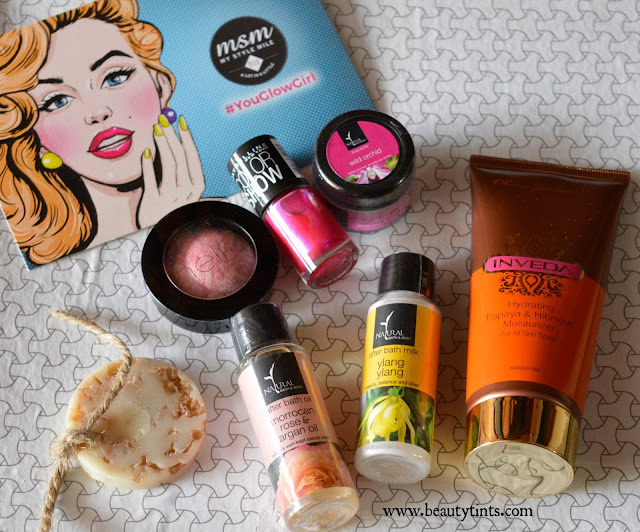 So,these are the products which I received in the November Edition MSM express Box. 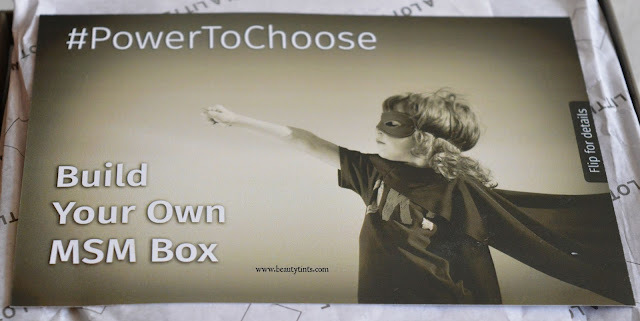 Final Thoughts : I really liked all the products from this month's box and happy that most of them are decent sized ones and the value of this box is definitely more than the price of the box. 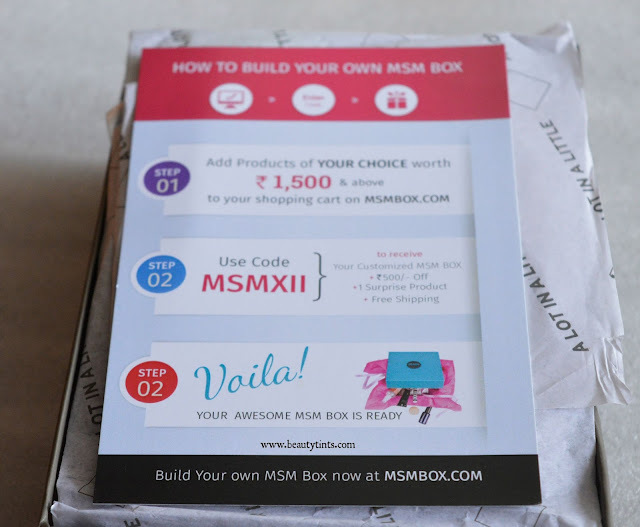 Let me know about your views about this November MSM box in the comment section below.